​Fiber-cement siding is a durable, attractive alternative to traditional wood composite, cedar, vinyl, brick and stucco siding. 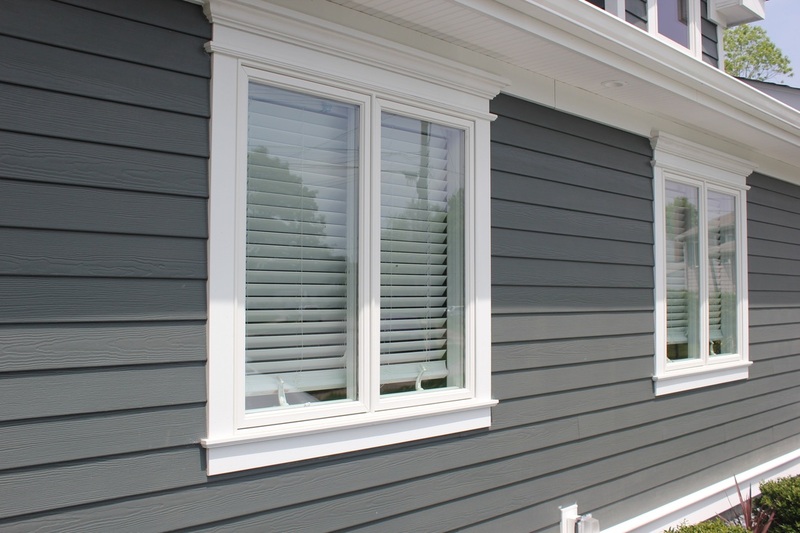 Fiber-cement siding is a composite material made of sand, cement, and cellulose fibers, combining the look and warmth of natural wood with the durability of fiber-cement at an exceptional value. Fiber-cement siding is available in many different styles and reveals. 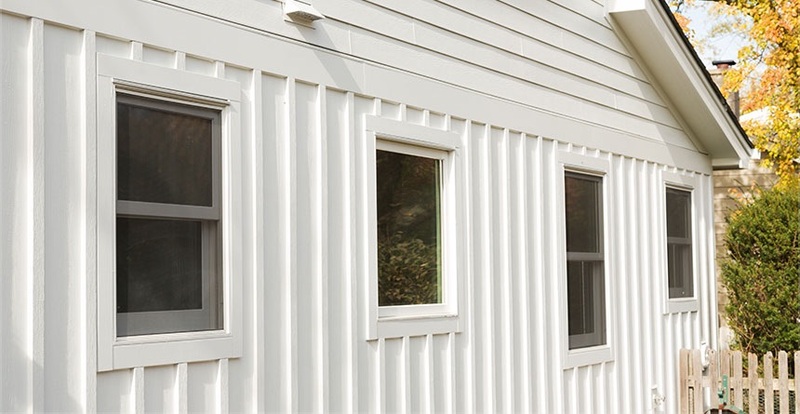 While 8 1/4" horizontal lap-siding is the most popular siding, fiber cement siding is also available in different reveals, panels and shake. 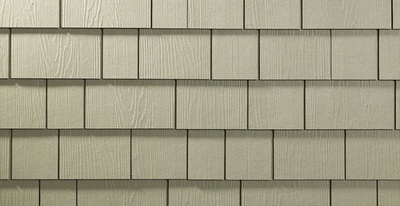 Fiber Cement Shake Siding - has the same authentic look as cedar shake siding. It adds a decorative accent to any gable. 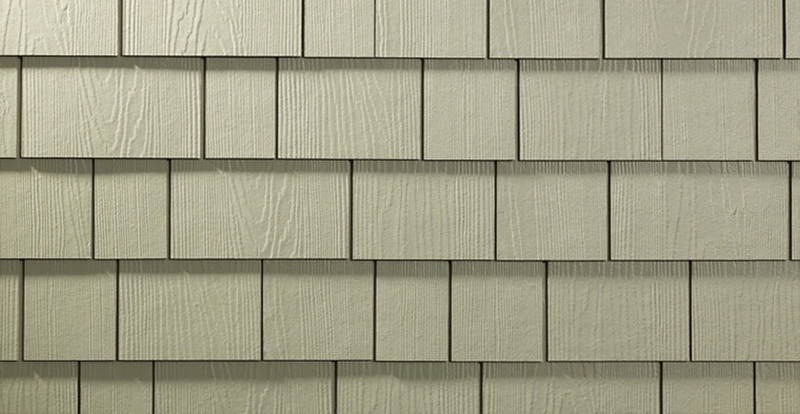 It is available in a variety of decorative edges and individual shingles. Panel Vertical Siding - is siding that runs vertically along the house. When combined with trim boards, vertical siding gives you a traditional board and batten look. 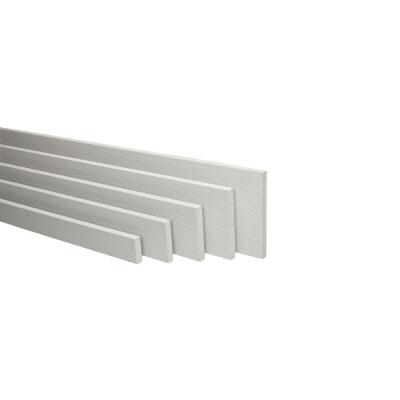 Trim Boards - allow you to create a variety of design possibilities for fascia board, frieze board, inside and outside corner trim, wrapping columns, and window and door trim. 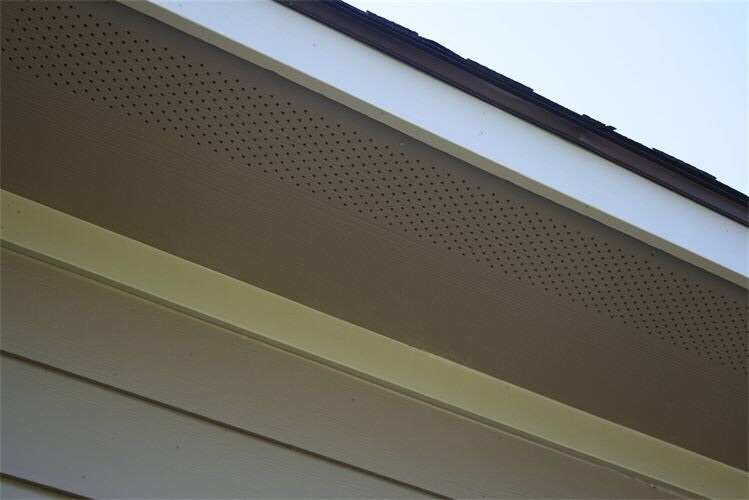 Soffit Panels - are available in vented and non-vented (gables) in a range of precut sizes.